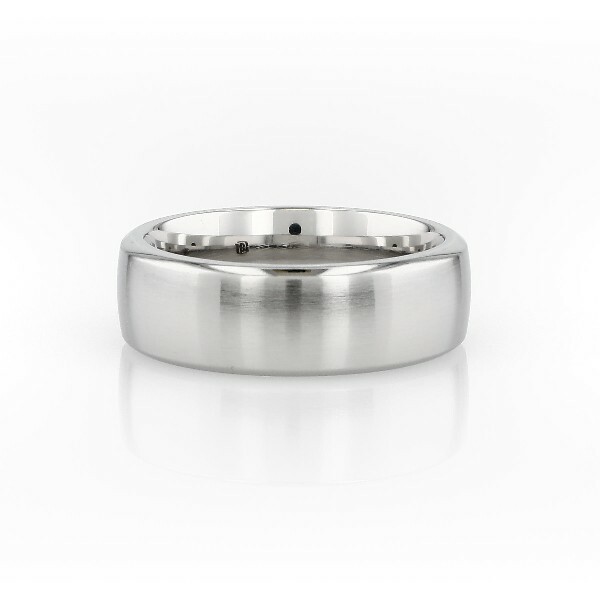 This comfort fit wedding ring is made with cobalt and has a rounded interior surface for comfortable everyday wear. Cobalt is a durable, hypoallergenic, and extremely hard metal, resistant to scratching, chipping, and corrosion. A matte finish gives this ring a modern look.